That’s what you want; and we’re here to help you accomplish both same day excitement and ongoing “told you so” supremacy. That’s why we’ve compiled a list of top-notch, high-quality, smile-worthy gift ideas that will go down in history as the most thrilling and visionary gifts of Christmas 2018. Because, really folks, why do anything halfway? You might be thinking, I already know that I can get my friends and family great gifts… if I’m willing to pay through the nose! Well, here at the Patriot Caller, wouldn’t urge you to waste one cent. That’s the genius of this list, if we may say so. Nothing on this shopping list costs more than $50! Did you really think we were going to get through this list without including at least one thing that shoots? Of course not. If you’re a longtime Patriot Caller reader, you know that we’re big proponents of simulations to maximize training time and technique. If you are getting someone familiar with firearms for the first time, this is an excellent place to start. While it’s true that no simulation beats actual range time, some training tools can be just as much fun. That’s where the APX air pistol comes in. Air pistols have come a long way in recent years, and not just in terms of accuracy. The major strength of today’s air pistols comes in the fact that many are scale replicas of popular firearms like the 1911, Beretta F92, etc. Case in point, the Beretta APX Air Pistol is an accurate replica of the popular APX 9mm and fits in the same holsters. It even mounts the same type of tactical hardware (if you’re so inclined) on its integrated Picatinny rail. For anyone looking to get more handling time without drastically increasing your trips to the range, this can be your backyard sidearm. In fact, you can safely run tactical shooting drills in your own space that virtually no public range would ever allow; and do it safely to boot! 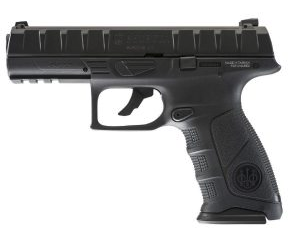 The APX air gun features a blowback slide, magazine release, and thumb operated safety. It’s pretty much as identical as possible to the original. In fact, the magazine holds 19 BBs, which is somewhat realistic. The magazine itself holds both your ammunition and the CO2 cartridge, which fires the .177cal BBs at an advertised 400fps. Made by Umarex, a well-respected name in air guns, this replica air pistol will be a heck of a lot of fun for anyone, whether or not they count tactical shooting among their favorite pastimes. This gift is almost guaranteed to come straight out of the box once unwrapped. Don’t forget ammo and CO2 cartridges. Remember: no one wants to get a battery-operated item without batteries, so you shouldn’t give someone an air pistol without the supplies necessary to try it out. 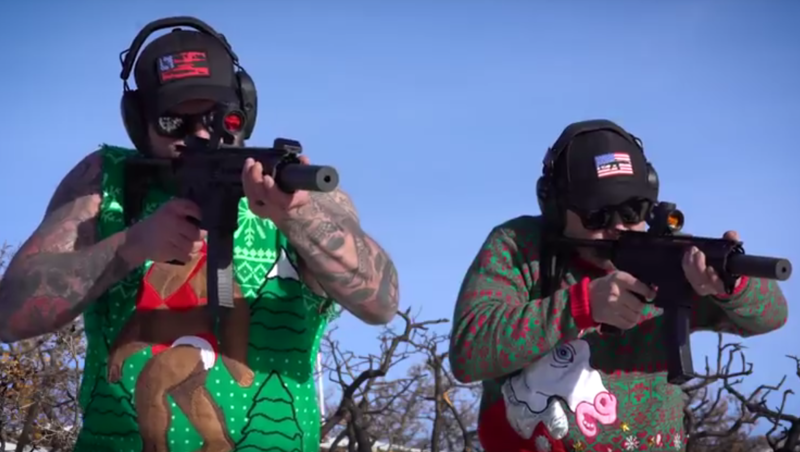 FUNNY: Watch Rednecks Fall Down and Go BOOOOM!